Colombia is my favorite country in South America. 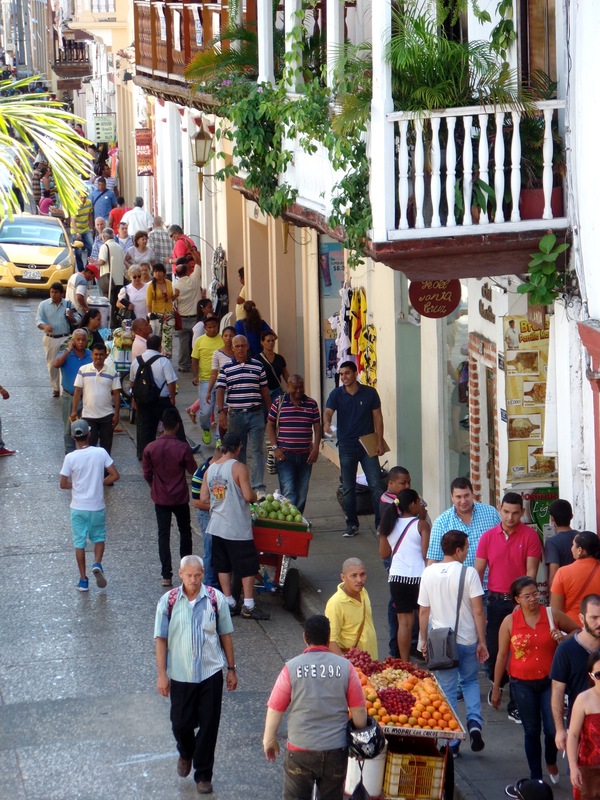 Tropical, friendly, exotic with historical Spanish colonial architectural and now it’s SAFE. Once a global leader in crime, drive by shootings, smugglers and drug lords, Colombia has cleaned up its act. Starting in 2002 with president Álvaro Uribe Vélez (’02 – ’12) was a major catalyst for change, particularly after he came to an agreement Fuerzas Armadas Revolucionarias de Colombia or FARC leaders – locals tell me President Uribe is rumored to have assassinated more troublesome FARC members, making *peace* talks possible. 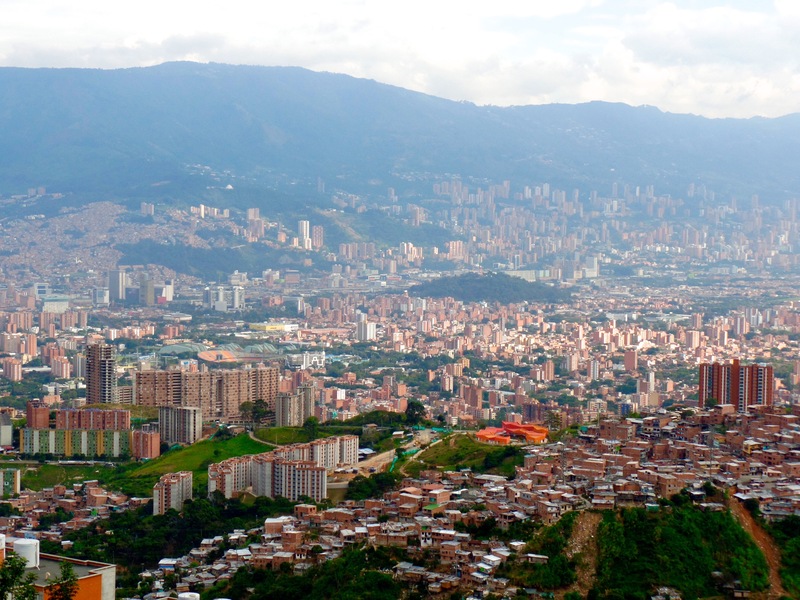 After a decade of elevated police presence across the nation and particularly in drug ruled south western provinces, Colombia is now a relatively safe place to visit, your travel rewards will far outweigh the risks. Leaving your smart-phone ‘out’, on the table, in your hand or otherwise exposed… just put it away! Taking pictures with your i-pad, tablet or any other highly expensive piece of technology while being unaware of your surroundings – if you look like a wealthy tourist target someone will target you. Going to the “wrong place” after dark. Always ask your hostel or hotel where is safe at night, and have them call a cab. If it’s “feels” wrong, leave, quickly. Take out of date advise with a grain of salt. 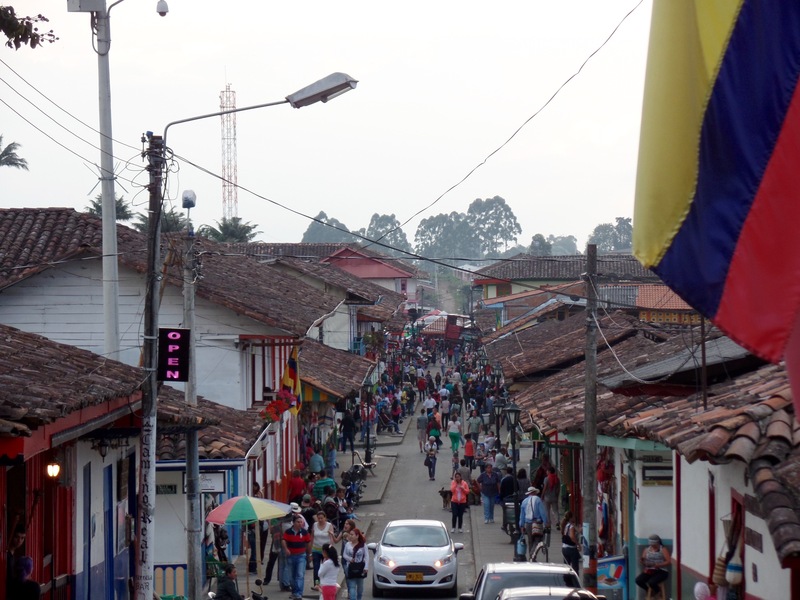 Colombia is changing quickly, there are new airlines – Viva Colombia – new bus serves – Mar Sol – and places that were once strict no go locations – like the South rural areas outside Salento and Popayan – are now increasingly safe. Call a taxi – Digitally tracked when called from a phone or cell phone app taxies are cheap, fast and the safest way to travel. Any hotel, hostel, restaurant or local will happily order you a cab. 5 years ago there was a serious problem with night robberies and “express kidnaping” in cabs, from this need digital tracking was born and now taxies are safe in Colombia. Travel during the day – The countryside is green, mountainous, and beautiful, you want to see it. Some areas – particularly the southern boarder towns – there have been reports of hijackings at night, better to be safe. Fly – Low cost air carrier VivaColombia has great deals for as low at $30USD one way with advance purchase. Like other low cost airlines like Ryan Air and Southwest expect to pay for all luggage and any “extras”, but if you book more than two weeks in advance this is the BEST way to get around Colombia. Plastic Surgery, it’s big here – maybe you thought it was Brazil, but nope, Colombia is the plastic surgery capitol. Expect to see fake breasts and excessively perky buttocks… Colombia is a popular medical tourism destination for “enhancements” with a favorable exchange rate and several world-class doctors, if your looking to go under the needle this might be your next extended vacation. Though you will likely notice not all the work is quality, I guess you get what you pay for. Colombians love to bicycle – every Sunday every major town closes a street for biking. Families come out and professional bike enthusiasts head to the countryside. 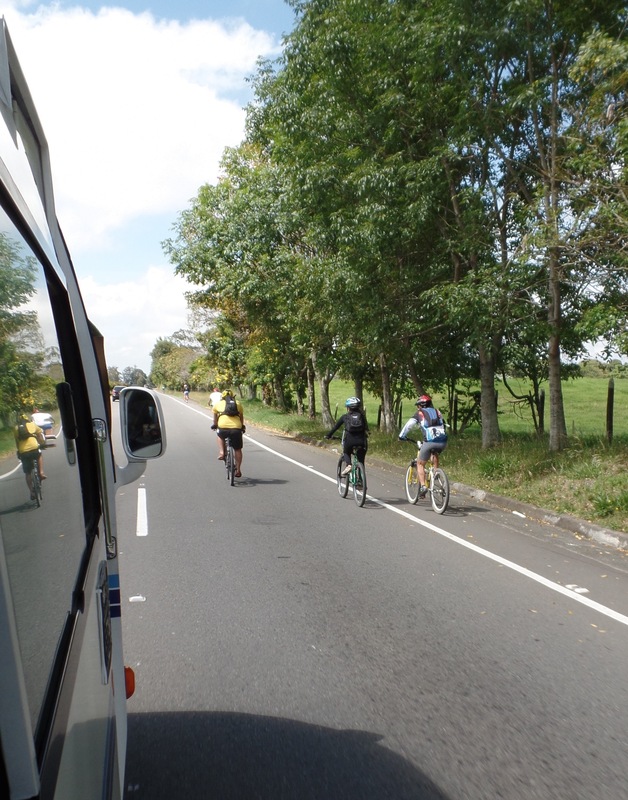 You will see a ton of people on two wheels, there are plenty of places to rent a bike for a day, it’s a great way to see Colombia. Machismo is a thing here – Ladies expect to get “complements” on your appearance and don’t be surprised to see older men with much younger women. Women traditionally work at home and still don’t make as much as men for the same job outside of the house. Lady travelers, this means you will get comments about your ability to lift a backpack, and travel “without a man”. Smile and enjoy your trip back to the 1950’s. 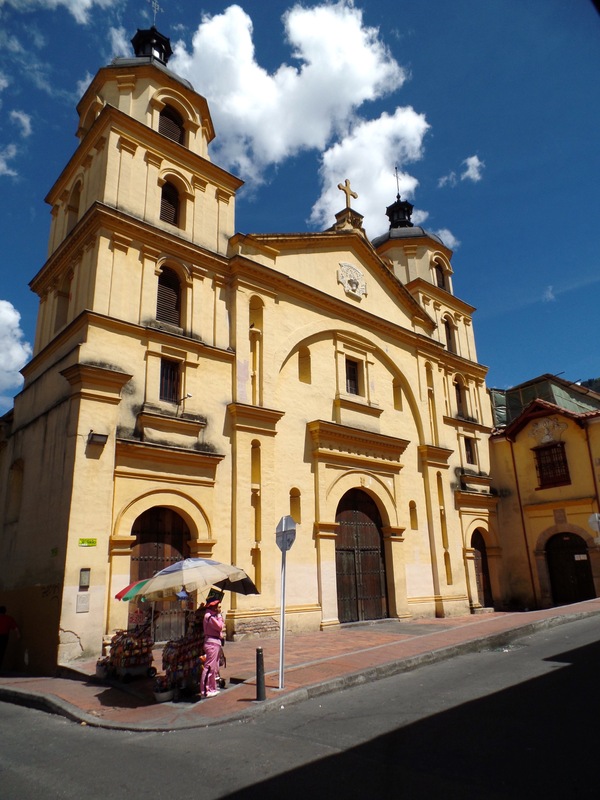 Colonial Architecture – Cartegena, Popayan, Salento and the Candeleria neighborhood in Bogota. Troyana national park outside of Santa Marta, jungle and beaches. 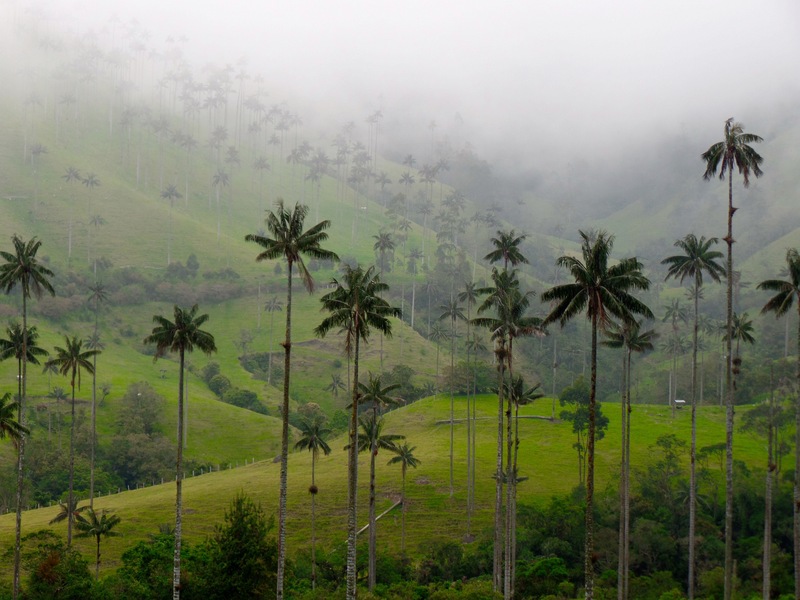 Cocora Park – home of the worlds tallest palm tree forest. Salsa – Colombians love to dance and they are very good at it. They don’t need an excuse to go out, just a pure “need” to move to the Music – Cali is the Salsa capital. 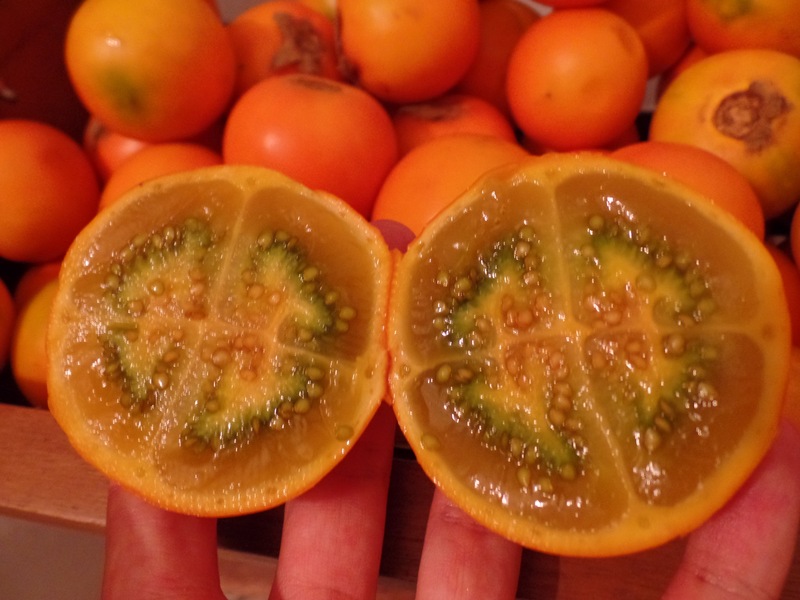 Fruit – great fresh fruit sold everywhere all day. Aguadiente – the national beverage of anise flavored liquor served straight. It’s cheap! – Outstanding hotels are around $100USD/night and private room in a good hostel around $10USD per night. Lunch for $5USD dinner at a nice restaurant will cost you as much as $25USD per person with drinks. Beers are $1USD. 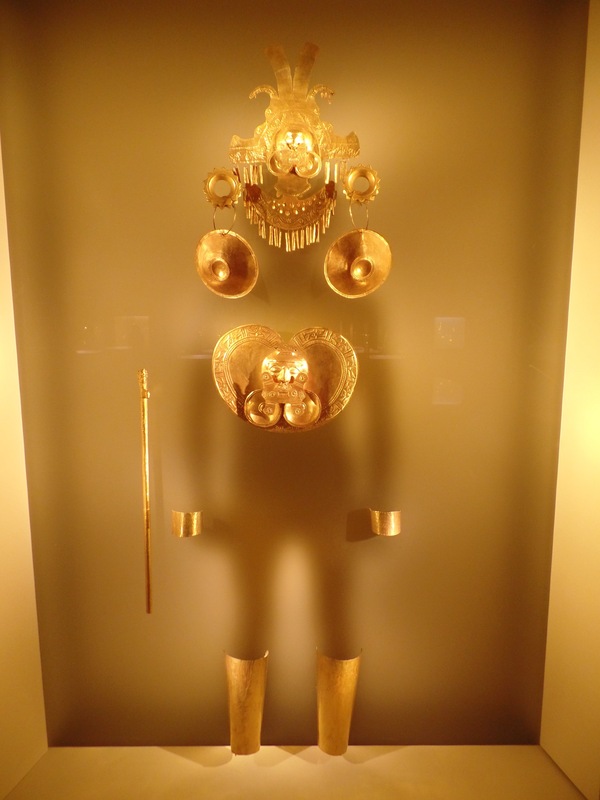 Museo de Oro – a brilliant breathtaking display of pre-colombian gold artifacts. Eat Alajillo – a chicken and potato soup that’s great for first day altitude and climate adjustment. El Portal next to the main square is a long time favorite. Sunday bike day – city closes down the main street from 8am to noon every Sunday, for the last 20 years. Rent a bike and join in the fun. Museo De Oro – Must See! 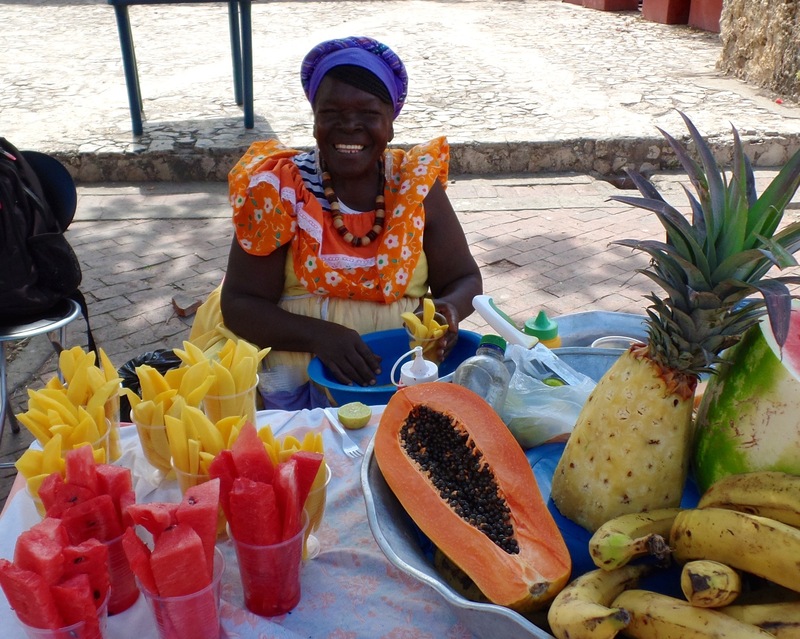 Many Colombia tourist stay in Santa Marta, a bustling town with everything you could need. 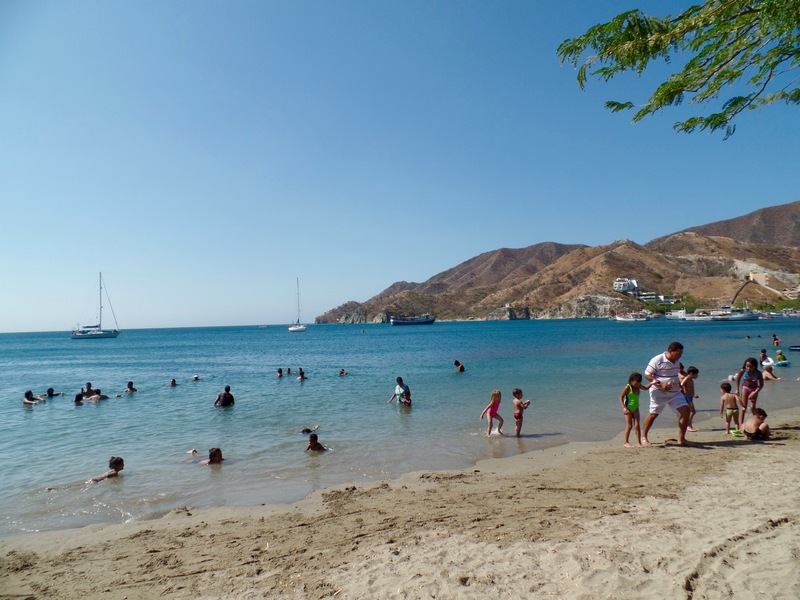 7km away is Taganga – a fishing/backpacker village and SCUBA capitol of Colombia – the cheapest place in the world to get certified. 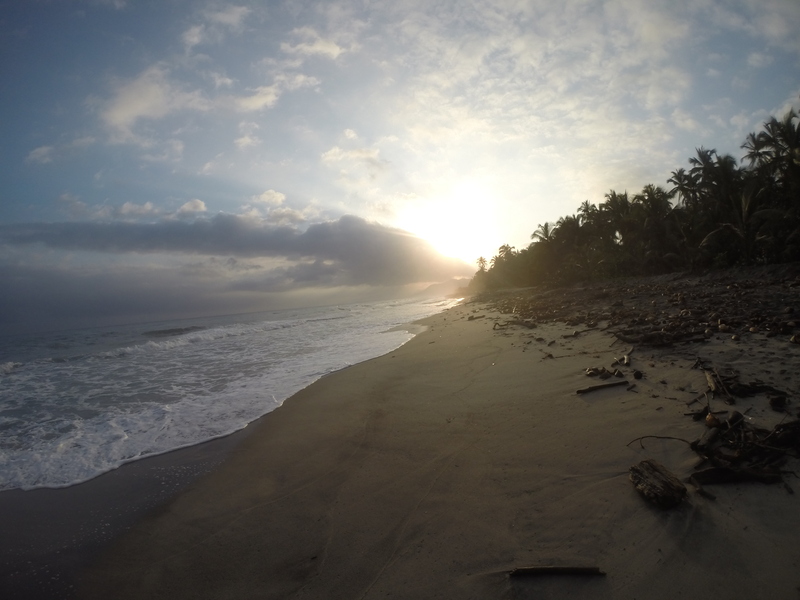 I dove with Aguaventura – but check current trip advisor and check all gear before you sign up. Outdoor Adventure – Hike 2 hours into Troyana Park and sleep in a hammock or splurge for a rustic ecolodge. 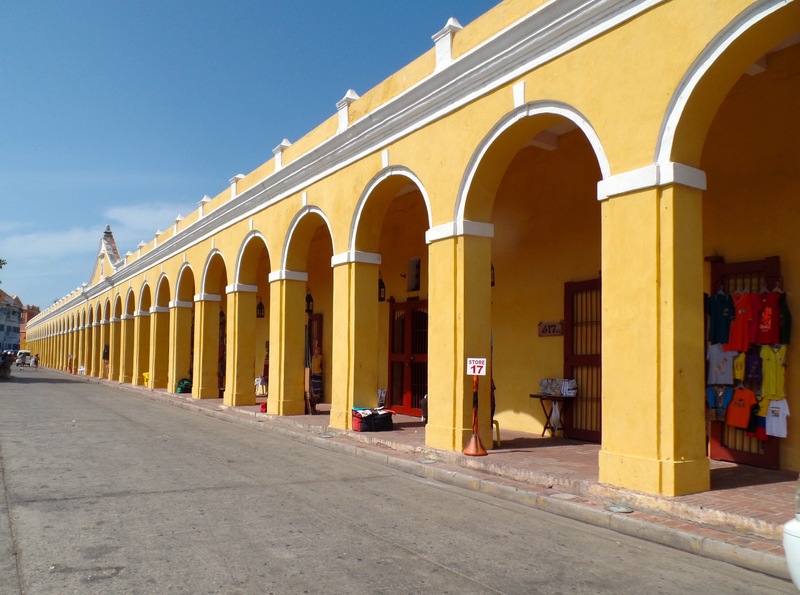 Cartagena 3-4 nights – soon to be the most popular tourist destination in South America, Cartagena is a colonial jewel surrounded by a historic wall and featuring some of the best preserved colonial architecture. Mud Volcano tour experience – climb into a bubbling mud volcano. 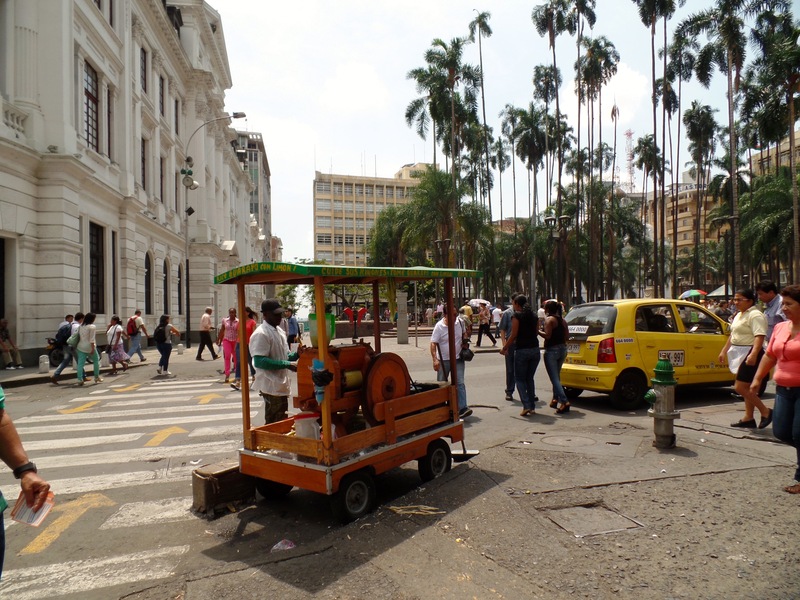 Explore on Colombia’s clean, safe and effect public transportation systems. Ride trains and “Metrocable” (gondolas) for spectacular views of the new meets old valley city. Go out on the town in Parque Las Lleras in the safe and wealthy Los Pobalnos district. 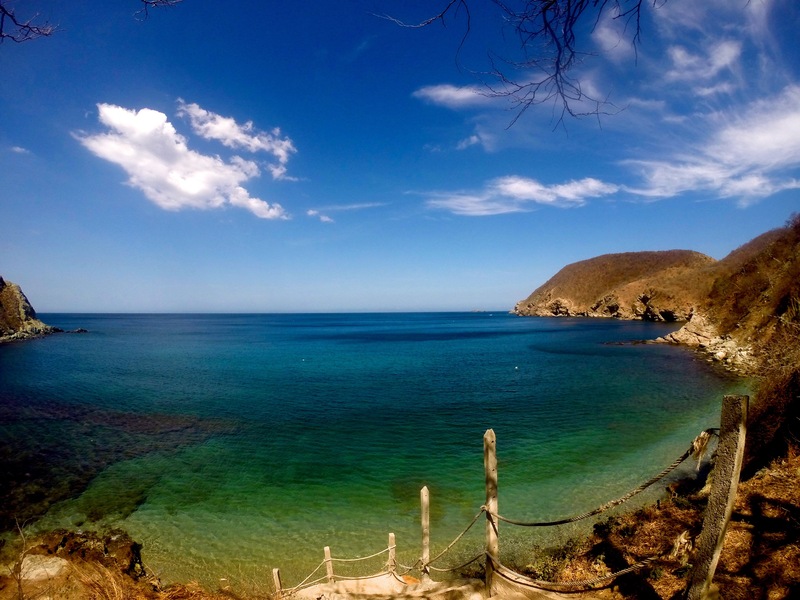 With a spectacular main house for $120/night and a simple and elegant hostel for $30USD/night both with pools. 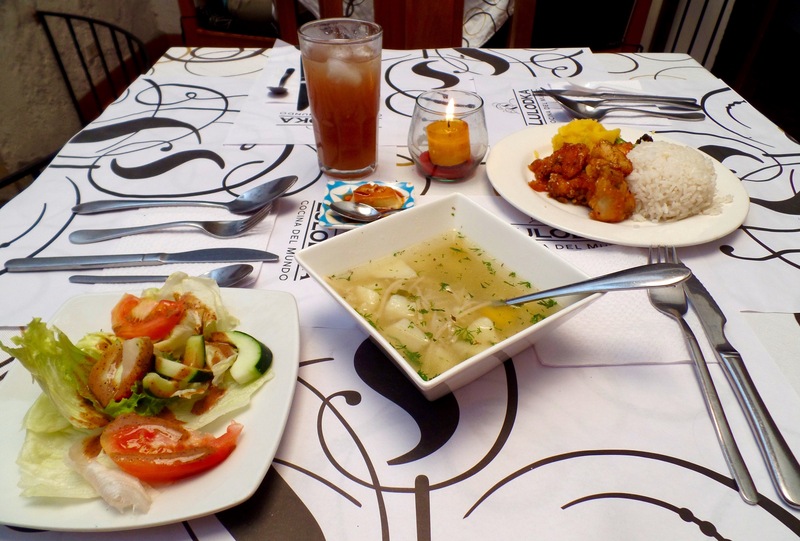 You can enjoy a fresh breakfast before taking a 3 hour coffee tour followed by a traditional lunch. 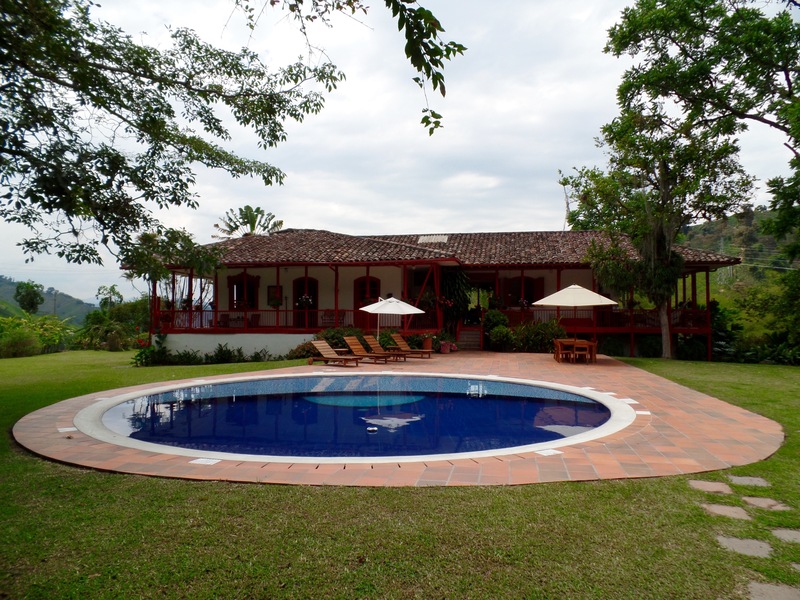 People come for the tour from Manizales but are often envious of those who stay the night; it’s a fantastic experience including all the coffee and fresh garden fruit you can drink/eat. 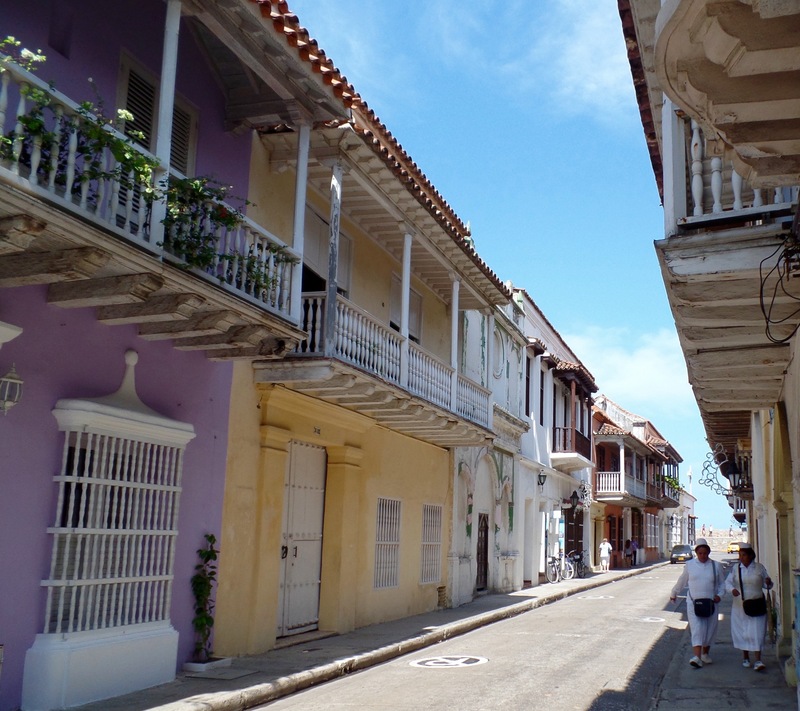 Salento 2 to 3 nights – colorful, well preserved, colonial, tourist-run, town is a must see in Colombia. 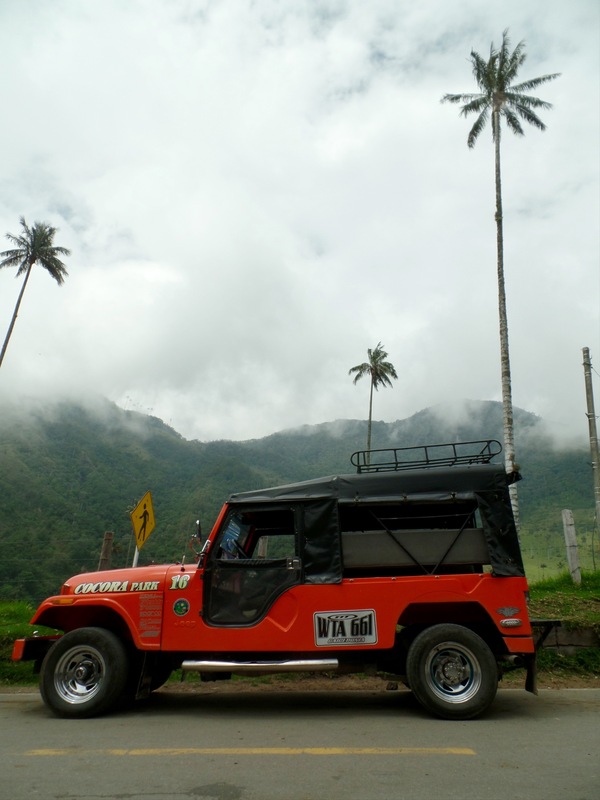 Valley de Cocora – the worlds tallest palm tree forest is a must see. Like the trees out of the Lorax or Jurassic park you will think you have been dropped into a galaxy far far away. Ride a horse up the valley then climb 1Km switchbacks to the top of the mountain. Enjoy a leisurely walk down 2 hours descending through the forest. Bring layers, it gets cold and cloudy at the top and a snack as you will want to take in the views on your way down. Eat Trout at Ananda’s in Salento – only open for lunch the Trucha Al Ajillo is a whole fish drenched in a fantastic garlic cream sauce. Mostly locals this restaurant is the best tucha in the entire area. 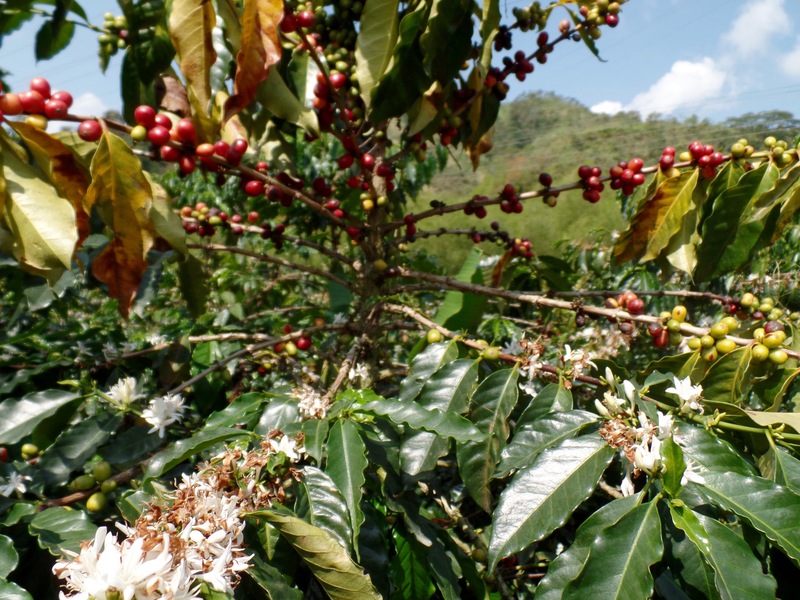 Coffee Tour – incase you skipped Hacienda Venecia you can take several coffee tours from Salento, ask your hotel/hostel. 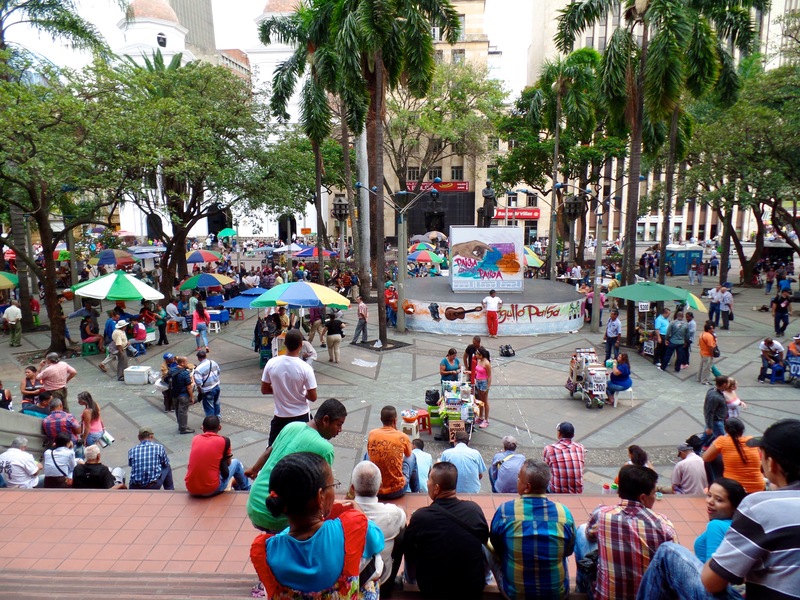 Cali – a real Colombian city. If you have time it’s a great place to learn salsa, and escape touristy-ness for the reality of day to day life. If you like great cities, Cali is certainly one of them; many a traveler has been captivated into staying. 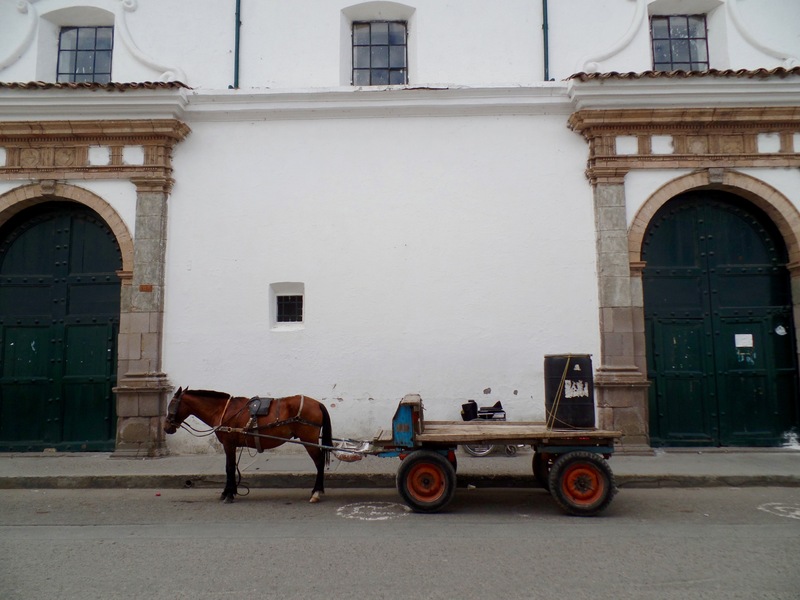 Popayan – 3 hours south of Cali – is an excellently preserved Colonial Town, white washed buildings and several churches would attract more tourists anywhere else. 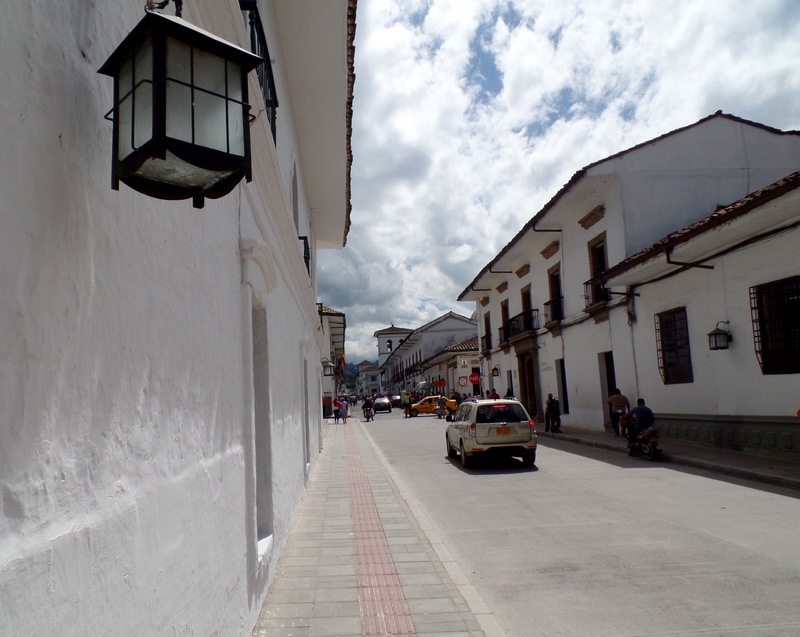 However because the surrounding areas have been rife with crime and drugs few venture here unless they are carrying on to or from Ecuador, and Popayan is certainly worth a stop for one night if you are. 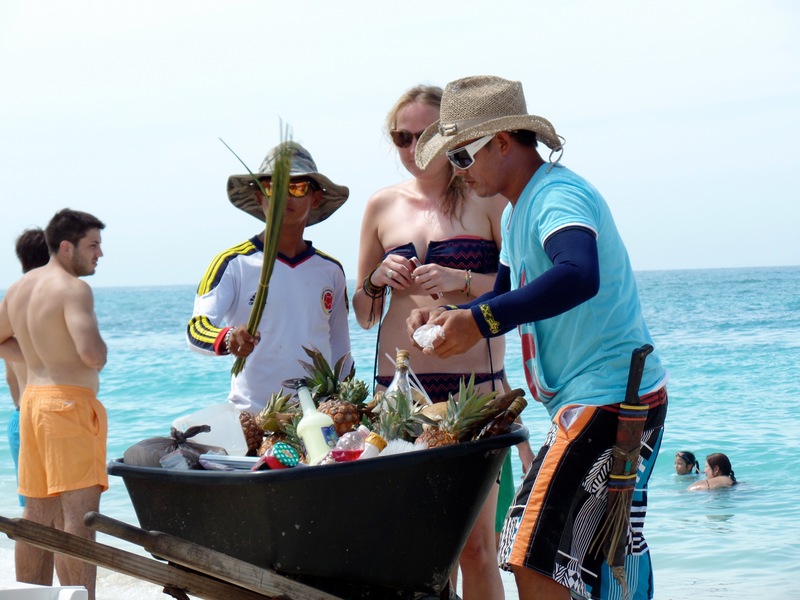 Palomino – Beach town an hour past Troyana, for an off the beaten path relaxation destination. 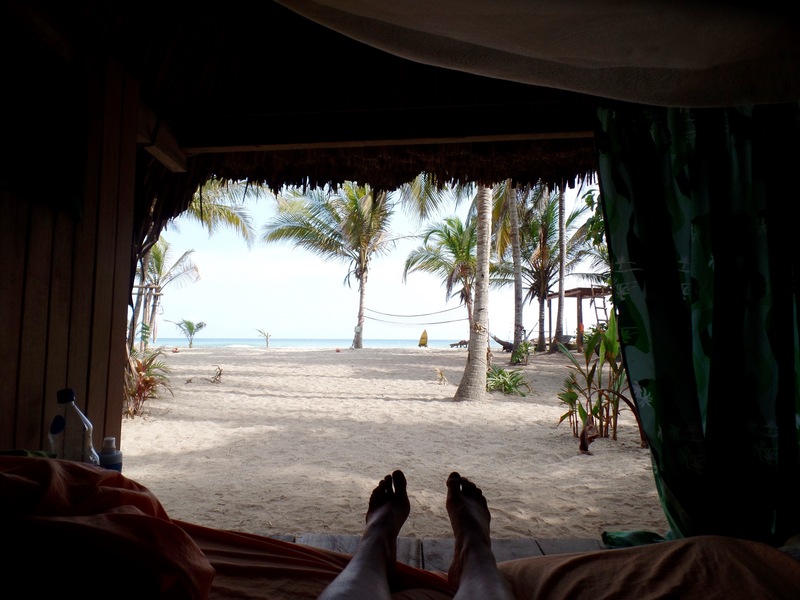 GO TO “The Beach” at forget the world at Costeno Beach Surf Colony – my #1 beach resort for people who don’t like beach resorts. 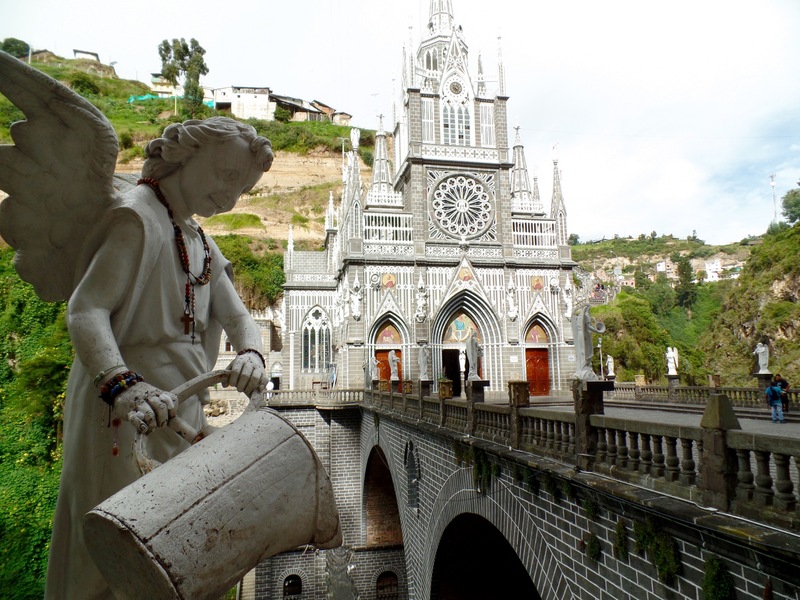 Ipiales – this border town is the last stop on your way to Equador. 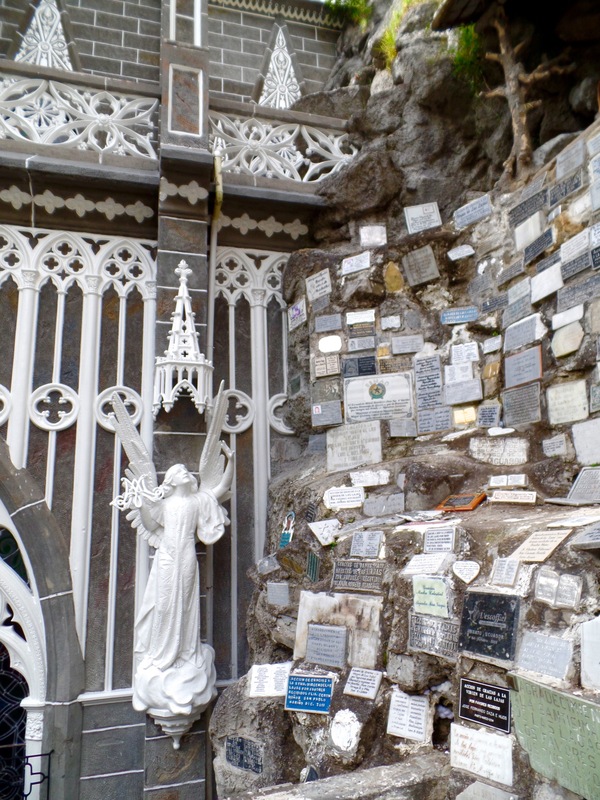 While not worth staying a night, you absolutely should take one hour to see the spectacular Las Lajas Sanctuary the holy rock with an image of the virgen is the altar of the cathedral that was built into the hillside. 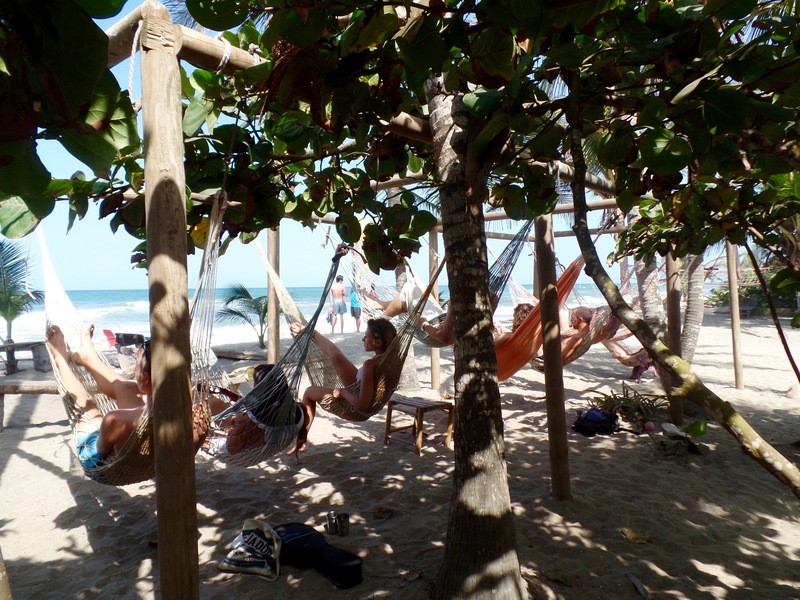 For your next tropical vacation on a budget TRY THIS – Colombia! Other people are Trying This….